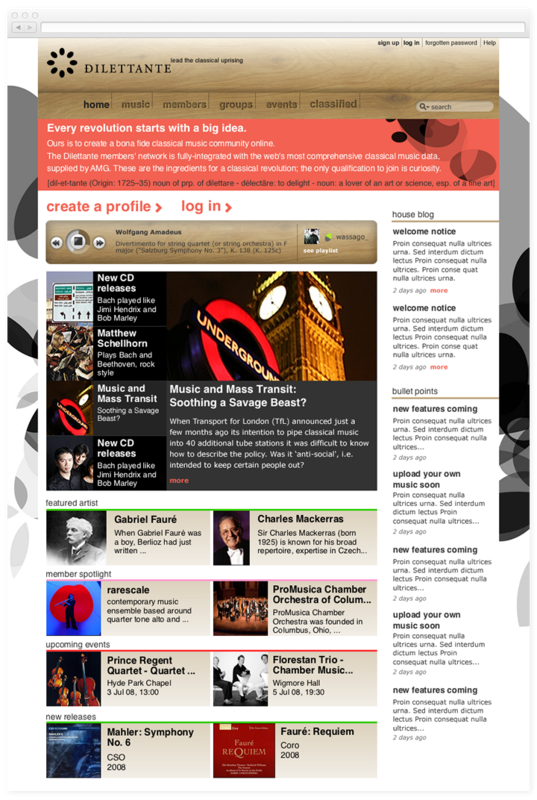 Now, here is a revolutionary idea: classical music is alive, making headlines, sells and generates a lot of buzz. The world does not necessarily spin around Madonna or the U2, there are lots of people who are truly enthusiastic about listening to and performing a different kind of music. The term classical is somehow out of date, as a lot of new non-pop music is being composed today. 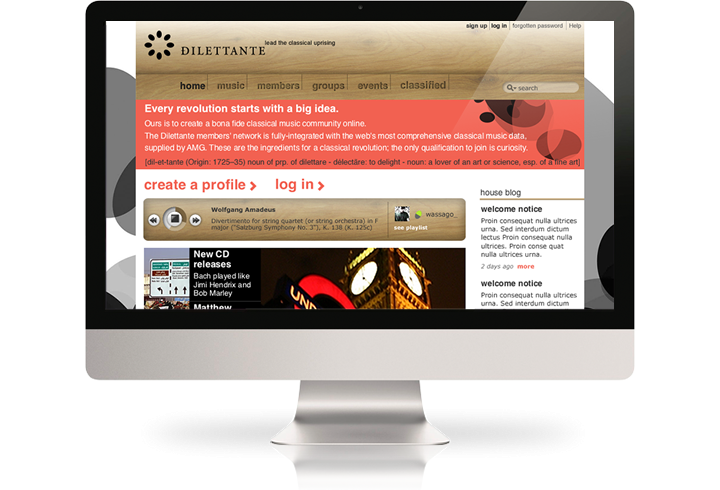 Enter Dilettante Music, a community for everyone who loves, listens to, plays and writes Music, with the added benefit of the huge AMG music backend, fully integrated. 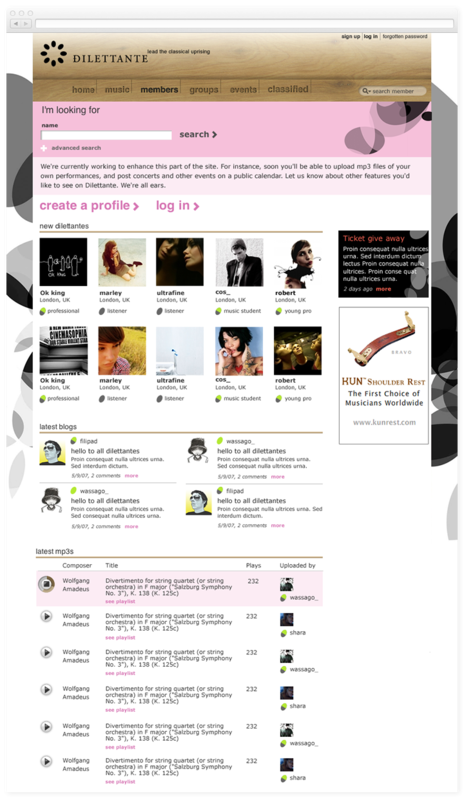 The home page featured lots of activities related to events, music and members, often combined with one another. Blog posts, concerts, new music being uploaded, they all found a place and a link on the site. At its peak, members reached 6,000 - which is impressive for a specialist, independent social community. Members could create their profile, add their favourite music linking to the AMG database, upload their performance and of course talk to others. It became a vibrant community. It's a shame it had to close in December 2010 due to budget constraints.